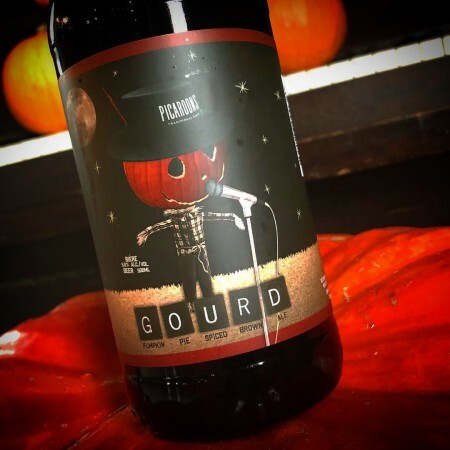 FREDERICTON, NB – Picaroons Traditional Ales has announced the return of a limited edition seasonal ale that pays tribute to a “very influential, creative, and outright iconic Canadian“. This pumpkin spiced brown ale was brewed with modest amounts real cinnamon, ginger, allspice, and nutmeg. Medium bodied and low hopped, this brown is very approachable with the spices adding a great warmth that will certainly leave you wanting more. Or at least leave you wanting some Pumpkin Pie. Previously available exclusively on draught, this year’s edition of Gourd has also been packaged in bottles. Both formats are available now at all Picaroons-owned locations in New Brunswick, and bottles will be available at select ANBL stores later this week.